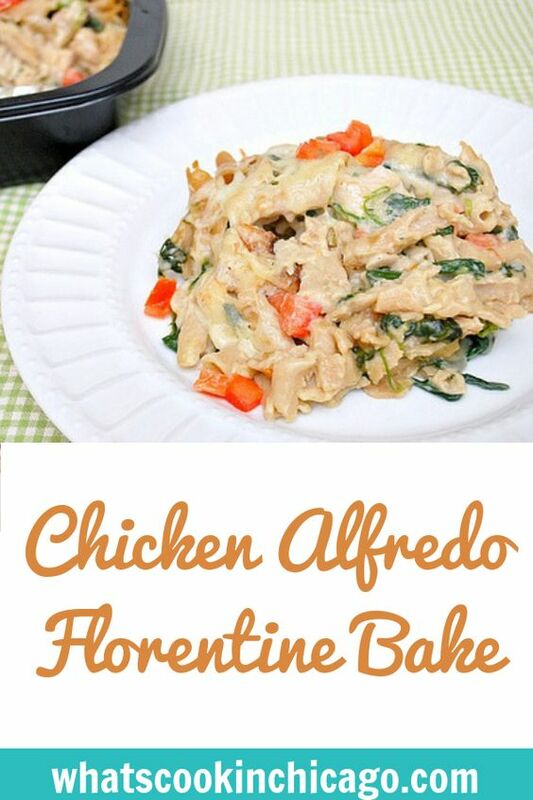 This can be made gluten free friendly with the use of gluten free pasta (I used GF penne) and a gluten free flour blend. Otherwise, feel free to use your favorite pasta and all purpose flour if gluten isn't an issue. 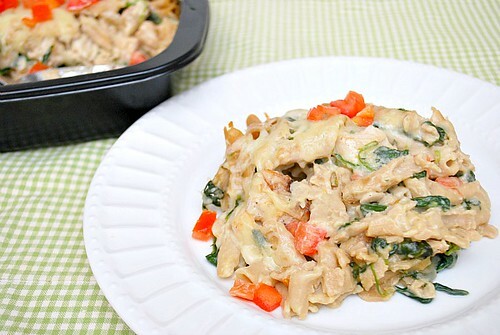 I liked how the spinach added some color and vegetables wherever you can squeeze them in is always a good thing. The fresh tomatoes used as a garnish when serving is a nice touch of color too but I like that it was fresh versus cooked through with the rest of the dish. This is great to make in advance a day ahead and then popped into the oven, especially on weeknights after a long day! In a saucepan, melt butter over medium heat. Add garlic and cook until fragrant. Add flour and whisk for 1 minute. Continuing to whisk, slowly add the half & half. Add the seasonings and cheese. Mixing well, reduce heat to medium low and cook for 10 minutes. Add chicken and spinach and stir well. Drain the pasta and add it to the cheese mixture. Transfer mixture into an 8x8 casserole dish, top with extra Parmesan cheese and bake at 350 for 30 minutes. When done, garnish with fresh chopped tomatoes and serve. I love when on-the-fly meals work out so well! That looks great, Joelen!